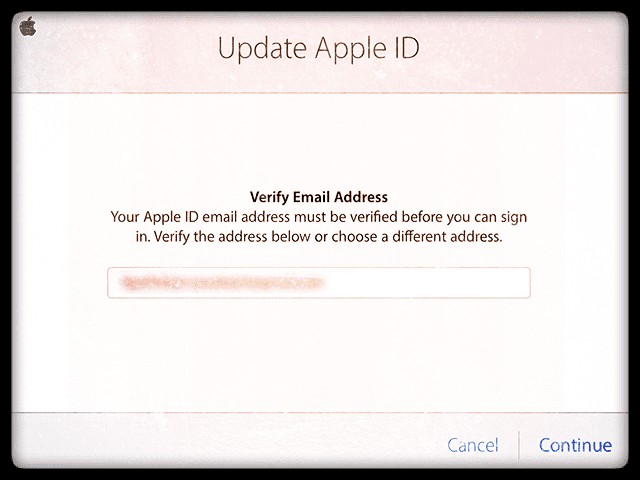 Several readers report that they are unable to verify Apple ID because they did not receive the activation email that Apple sent to verify their email address. Having an Apple ID is a must if you are using an Apple product. With an Apple ID, you buy apps, log in to your iCloud account or access Apple support and view your product information (along with many other things). If you do not have an Apple ID, creating an Apple ID is easy by visiting the My Apple ID website. 3 Apple ID Verification keeps popping up? During the registration process, Apple asks for your name, address, and email. After you complete this registration process, Apple sends a verification/activation link to the email address that you submitted during the registration process to verify that this address indeed belongs to you. 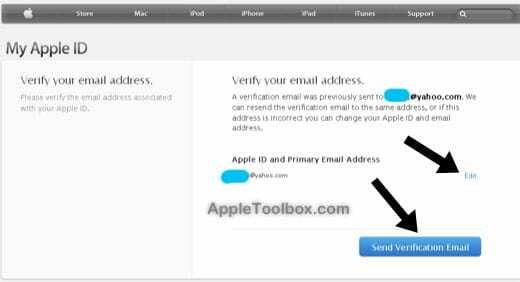 You are required to open that email and follow the instructions to activate your Apple ID; if you are unable to verify that Apple ID, you cannot use it. It is possible that your email provider may be having technical difficulties preventing you from receiving emails. This situation is especially true if you have a self-hosted email address like [email protected]. You may want to change your email or request a new verification email (see below). You may have made a typo in the email provided. Check to ensure the email address is spelled correctly. Apple ID Verification keeps popping up? Does your Mac, iPhone, iPad, or iPod Touch keep getting a pop-up message asking you to enter the password for your Apple ID? Is this happening over and over again, no matter how many times you type in your password? A message says you need to Apple ID Verification and asks you to enter your password. So you enter the password. But whenever you restart your iDevice, that dang SAME MESSAGE pops up again. And it asks the same thing–Enter the Apple ID password. It a vicious cycle, and it really couldn’t be more annoying. Add an email address to FaceTime and iMessage, if you don’t have one already set-up. Go to Settings > FaceTime > Add Email. For iMessage, go to Settings > Messages > Send & Receive > Add Email. Don’t just have a phone number associated with these services! Open iCloud, enter your Apple ID and pass, then and go to iCloud Settings (in drop-down menu underneath your Apple ID in the upper-left corner of your screen.) Find “My Devices.” Remove any Macs or iDevices you no longer own or use by clicking on the blue “x” icon. Any personalization is removed from app preferences etc. Free up some storage space (or purchase more) on iCloud if your iCloud account is almost full. A reader reports she opened up some storage space and the message disappeared! Had this exact issue and fixed it by allowing mobile data usage in cellular settings. Pretty simple and worked for me!